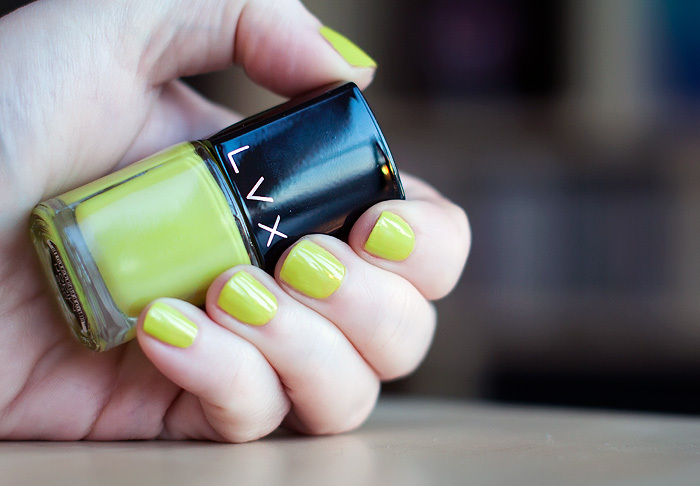 If you’re anticipating the warmth of Spring as eagerly as me, you may be interested in pre-empting the vibrancy with a little treat from LVX. The vegan nail brand’s products are formulated without the use of Formaldehyde, Formaldehyde Resin, DBP, Toluene, and Camphor making them not just 3-free, but 5-free! Midori* is a retina-searing chartreuse creme that applies smoothly, if a little thinly, in two coats. The chunky square lid removes to reveal a slim handle for painting. I found the formula to be quick-drying but prone to pooling at the cuticles, thin layers are the way forward but thankfully the pigmented creme is opaque in two coats. Awhoah! I am thinking Shrek on Acid here! The night I thought I'd Trumped myself.